A two-way bookshelf speaker is essentially the sum of four parts: a tweeter, a midrange/bass driver, a crossover, and a cabinet. 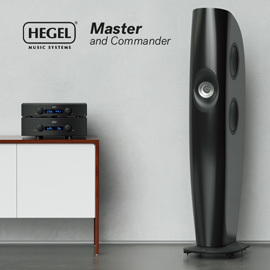 Obviously, there are a variety of materials available from which any of these can be made, and many different ways to combine them -- but at its core, bookshelf speakers don’t seem nearly as complex as floorstanding models, which often rely on three or more drivers, a necessarily more complex crossover, and a heavily braced cabinet. Still, I’m sometimes surprised at how differently some of the bookshelf speakers that have passed through my listening room have sounded from each other. Clearly, my assumption that using fewer parts constrains the sonic variability among "simple" two-way designs is seriously flawed. This was again confirmed when I heard the UniField 1 bookshelf speaker from Von Schweikert Audio (VSA). By combining a unique approach to cabinet design with a coaxial driver arrangement, this minimonitor performed better in some areas than any other compact speaker I’ve heard. Introduced in 2009, the VSA UniField 1 ($3995 USD per pair) is the smallest in a series of three models. As explained in the instruction manual, the term UniField originates from "unified soundfield," which apparently means that the speakers have been designed for "universal application." In other words, the 1 should be as at home as a main speaker of a two-channel system as it would be as a rear speaker in a surround setup. Furthermore, VSA claims that their UniField models can be set up on a wall or in a bookcase without suffering sonic interference with either. However, I’ll leave it to buyers of the 1s to determine how they fare when placed on shelves; all of my listening was done with them sitting on 24"-high Osiris stands. Probably the most interesting aspect of the 1’s design is its cabinet, the product of two years of research by VSA into the audibility and reduction of panel resonances. Founder Albert Von Schweikert’s goal was to build the most nonresonant cabinet possible, and to achieve this he developed a triple-wall laminate enclosure of three different materials to make the box inert. According to VSA, the end product has zero audible cabinet colorations. The outer layer of that cabinet is a molded shell of resin-impregnated MDF that gracefully curves in toward the back of the speaker, presumably to prevent standing waves from forming within. This is bonded to a middle liner of artificial stone that is in turn laminated to an inner wall of hard felt. 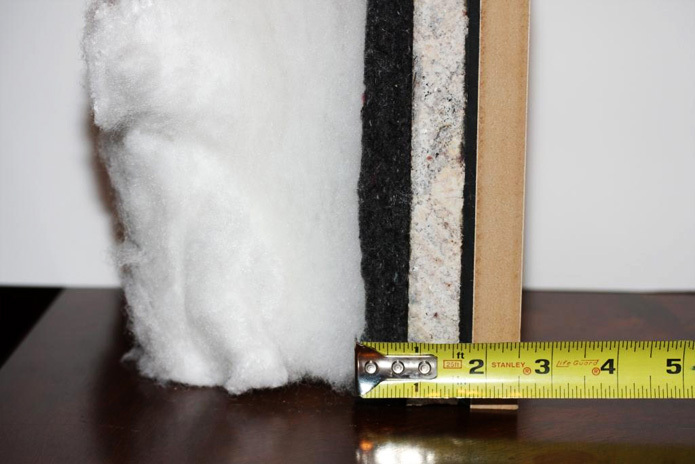 The entire structure is an impressive 2.5" thick, and VSA claims that it outperforms a cabinet of 5"-thick plywood or MDF. The materials comprising the cabinet are said to have been chosen for their opposing Q factors, which cancel out each other’s patterns of resonance. The Q (for quality) factor is a term used in the physical sciences to describe how underdamped an oscillator is. An oscillating material with a high Q factor is not well damped, which means it will "ring" longer than a material having a low Q factor. In this case, the oscillators are the three layers of the 1’s cabinet walls. Since VSA maintains that no single material offers ideal damping properties, the combination of resin-impregnated MDF, artificial stone, and hard felt was necessary to produce a truly dead enclosure. The proof would have to be in listening, but suffice it to say that a solid rap of my knuckles on the cabinet walls returned a very dull thud. The 1’s single drive-unit consists of a 7" TPX bass/midrange cone developed by the British Broadcast Corporation (BBC) and made by SEAS of Norway, coaxially joined to a 1" silk-dome tweeter mounted at the center of the bass/midrange cone. This tweeter, also designed by the BBC, uses a neodymium magnet in the motor structure for improved clarity and lower distortion. The tweeter is crossed over to the bass/midrange at 2kHz using a fourth-order slope. There are inherent advantages to coaxial drivers, chief among them the fact that, with the tweeter directly at the center of the mid/woofer, the acoustic centers of the two drivers are always aligned so that the listener’s ears are the same distance from both drivers, regardless of where the listener sits or stands. In a more conventional two-driver design, in which the tweeter is mounted above or below the mid/woofer, the distances between the ears and the tweeter and the ears and the mid/woofer vary as the listener’s position shifts. The disadvantage of a coaxial driver is that the tweeter operates from inside the mid/woofer instead of from the speaker’s baffle, meaning that mid/woofer’s cone and surround will have an effect on the tweeter’s output. The coaxial driver in the UniField 1 has been designed to minimize those deleterious effects -- for example, the surround is inverted and shallow, presumably to reduce diffraction from the tweeter’s output. 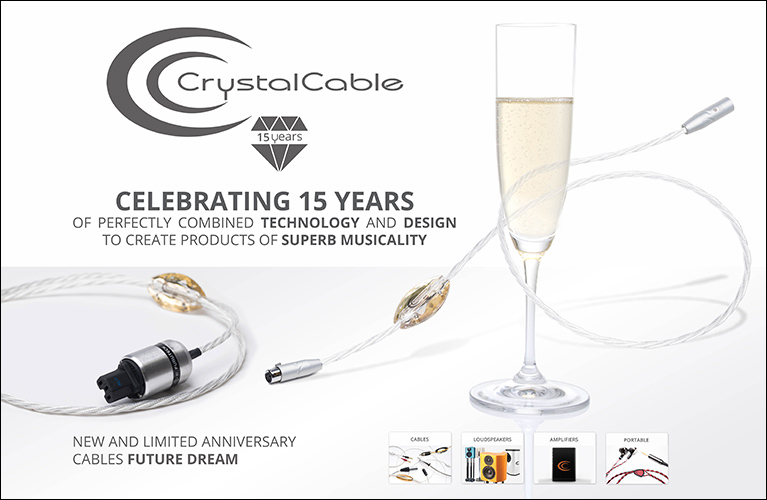 The 1 is rated at a sensitivity of 87dB/W/m and an impedance of 8 ohms, dipping to a minimum of 6 ohms. These specs mean it should be possible to drive the VSA to full output fairly easily with either solid-state or tube amplification. I obtained perfectly acceptable results and all the volume I could handle from a 100Wpc solid-state integrated amplifier. If anything, I had more power than I needed. The frequency response is a claimed 40Hz–20kHz when the VSAs are set up close to walls, and 60Hz-20kHz when placed out in the room, both with -6dB in the bass and +/-1dB in the midrange and treble. If true, that’s decent bass response for a modest-sized enclosure, and very flat frequency response overall. Each 1 measures 14"H x 9"W x 13"D, weighs 28 pounds, and is available in a one of three finishes: Steinway Piano Black, Natural Cherry or Blond Sycamore veneer. The review pair came in Natural Cherry and looked very attractive. The wood glowed warmly, and certainly wasn’t obtrusive in my listening room. The front baffle is completely black, and the transparent TPX cone lets one see the driver’s black suspension behind it. Though none were supplied with my review samples, grilles are available. Each speaker is outfitted with a pair of high-quality binding posts that accept bananas, spades, or bare wire. The UniField 1s were set atop 24"-tall Osiris speaker stands, their front baffles 44" from the front wall and the centers of their drivers 68" apart. I toed them in so that the tweeters’ axes crossed just behind my listening position, 7’ away. This gave me enough high-frequency information while retaining a wide soundstage with excellent center fill. The first thing I noticed about the 1 was its precision. In fact, as I reviewed my listening notes, the word precision appeared more than any other descriptor. The speaker certainly didn’t fall into the category of warm and romantic. If you prefer a fuller, fatter sound, the 1 might disappoint you. However, if you favor clean, transparent speakers that can image with the best, then this smallest member of VSA’s UniField series is a must-hear. On "Louis Collins," from Jerry Garcia and David Grisman’s Shady Grove (CD, Acoustic Disc ACD-21), the strings of the mandolin resonated with such purity, and each note was carved out so sharply in space, that the music took on the proverbial "you are there" quality. Sound extended beyond the boundaries of the speakers -- in fact, it didn’t seem to be coming from the speakers at all. The stability of the stage was unwavering, and the senses of coherence and scale were perfect. Sometimes a speaker can make an instrument or voice seem larger or smaller than one would experience it in real life. Not so the 1. This, of course, had a great deal to do with the quality of the recording itself, but it’s worth noting that some speakers can exaggerate the size of the music even with a good recording, reminding you all too clearly that you’re listening to an LP or CD. The 1 sounded more like real life and less like digital playback to my ears, something that goes a long way toward my greater enjoyment of music. As a result, I listened to far more of this album than I’d intended. Playing "Be Your Husband," from Jeff Buckley’s wonderful Live at Sin-é (CD, Columbia/Legacy C2K 89202), I was treated to the 1’s superbly clear and open midrange reproduction. The coffeehouse where the show was recorded didn’t seem as big as it has through some other similarly sized monitors, but Buckley’s voice on this a cappella track sounded as clean and organic as I’ve ever heard it. Putting aside what an incredible performance Buckley delivers, the disc is made even more special because the sound is captured so well. Live at Sin-é sits the listener down directly in front of Buckley, in the first or second row of tables. Low-level details such as the clinking of glasses and audience chatter are captured with impressive lucidity. These are the sorts of qualities the buyer of the 1 can expect: excellent transparency, and a neutral character that can tell you a great deal about the quality of the recordings in your collection, as well as the quality of the other components in your system. Precision aside, that chameleon-like neutrality was another of the 1’s strengths. It’s not difficult to imagine someone using these speakers as monitors in a recording studio, so faithful were they to the signals fed them. Listening to "Mr. Tambourine Man," from my CD copy of Bob Dylan’s Bringing It All Back Home (Columbia CK 92401), the singer’s voice was on the same plane as the 1s; but when I played my vinyl copy (Columbia/Sundazed LP 5070), his voice was behind the speakers, farther away from me. Not surprisingly, the LP sounds warmer and fuller than the CD, though each has its merits. By imposing very little of its own sound on the music, the 1 was very good at letting me appreciate the music as it was and the medium from which I was playing it, rather than having to hear either through the filter of any coloration the designer might have built into the sound. Another thing I found during my time with the 1s was that they invited long listening sessions. 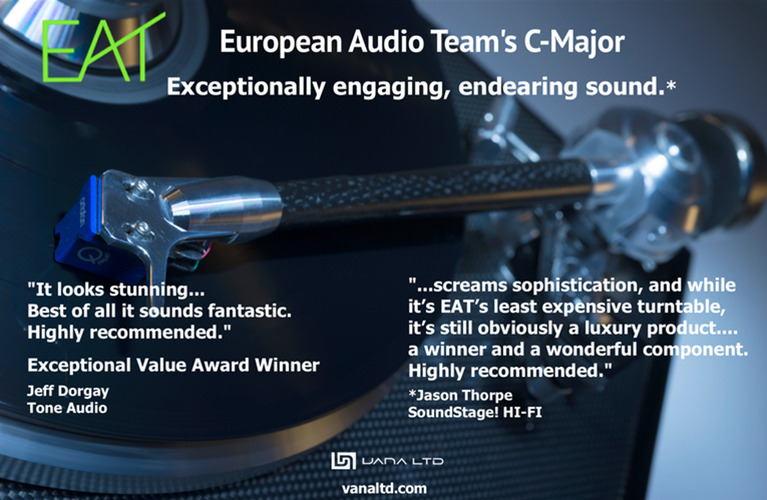 They were very easy to listen to for hours at a time, even at high playback levels, without aural fatigue setting in. This may have had something to do with that fabric-dome tweeter, but whatever the reason, and despite their excellent precision, the VSAs never began to sound overanalytical or hyperdetailed. If there was one area in which I can imagine some listeners wanting a bit more from the UniField 1s, it was their low-frequency reproduction, even if the bass they did reproduce had the same clarity and detail that I enjoyed higher in the audioband. The bass guitar in "Louis Collins," from the Garcia-Grisman disc, sounded extremely articulate and well delineated while providing a firm underpinning to the song. 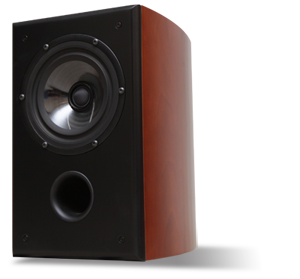 However, it lacked the weight and fullness I’ve heard from some other similarly sized bookshelf speakers -- such as the Amphion Argon3, which I’ve just reviewed (and describe more below). Earlier, I said that the 1’s -6dB frequency extension is 40Hz when the speaker is placed close to a room boundary, and 60Hz when set up farther out in the room. As expected, moving them closer to the front wall did noticeably increase the bass extension, but detracted somewhat from the superb three-dimensionality of the sound when they were on stands out in the room. 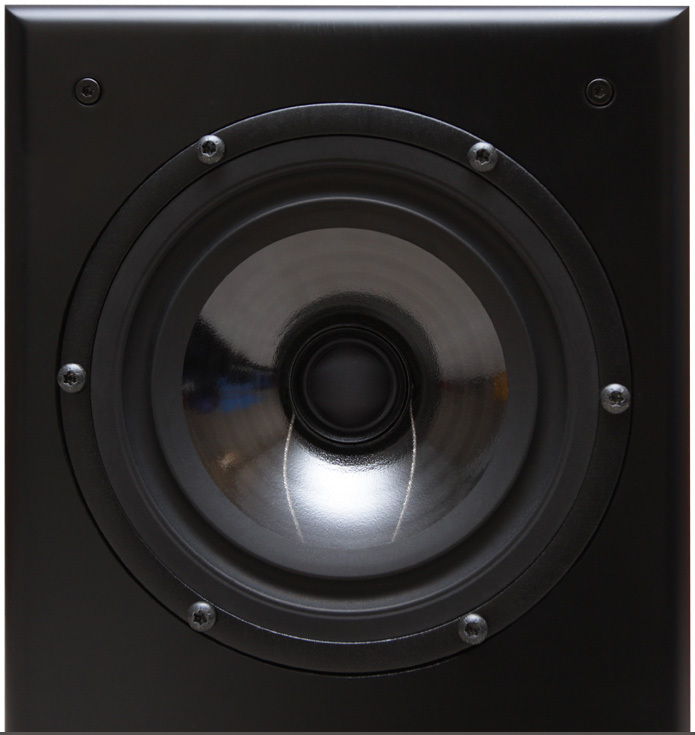 The potential buyer will have to experiment with positioning to find the best balance of midbass output and pinpoint soundstaging, but given that I so admired their precision in the latter area, it was a no-brainer to keep them away from the walls. 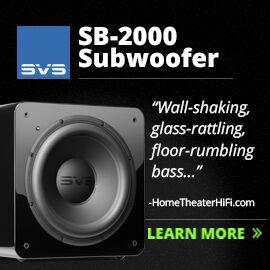 My only wish was for a subwoofer, so that I could exploit the VSAs’ strengths while enjoying a firmer foundation. When the UniField 1s arrived, I had on hand the Argon3 bookshelf speakers ($2995/pair) from Amphion Loudspeakers, based in Finland. The Argon3 is a natural competitor for the 1: they’re similar in price and size, and represent what I consider the point of diminishing returns for a two-way monitor. Other speakers at or above this price may do this or that better, but I think that spending more than $3000/pair -- or maybe even $2000/pair -- is more likely to buy a sound that’s different rather than one that’s necessarily "better" than the sound of either of these speakers. Although there were some similarities between the Argon3 and the 1, I found them to be more different than alike. Both are quite neutral, imposing on the music little of their own sonic character. In addition, both sound exceedingly clean, which bestows on each a level of transparency that’s essential if you prefer a more detailed, revealing sound. The 1 sounded more precise and incisive, the Argon3 more full, with a much heftier low end. With "2:45am," from Elliott Smith’s Either/Or (CD, Kill Rock Stars KRS269), the 1s sounded very exact, populating the stage with pinpoint images and razor-sharp outlines. The Argon3s, too, sounded very clear, though not quite to the same degree. In terms of stable image placement and coherence, the 1s were the best I’ve heard in my room. However, the biggest difference with this track was that the 1s were unable to create as voluminous a stage as the Argon3s, lacking the fullness and warmth of the Finnish speakers. This was especially noticeable with kick drum, which hit with a bit more weight and impact through the Amphions. Ditto for Garcia and Grisman’s "Louis Collins": the VSAs reproduced the bass guitar with admirable clarity and detail, but were unable to fill the room the way the Argon3s could. Despite their similarities, I think the Von Schweikert and Amphion speakers will appeal to different types of listeners, based in large part on the quantity of bass they can reproduce. Though each plays exceptionally clean down low, the Argon3 digs noticeably deeper, and thus will likely appeal to those who prefer a warmer, fuller, bigger sound. The 1s are more likely to impress those who favor precision and an exceptionally coherent soundstage. Each speaker has its strengths; as is so often the case at this level of performance, a buyer’s choice will come down to personal preference. Just when I thought I was starting to get my head around what to expect from "simple" two-way speakers, along came the Von Schweikert Audio UniField 1. In terms of precision and soundstaging, it is the finest speaker I’ve ever reviewed. It embodies a unique approach to cabinet design, and comes from the workshop of a man who has spent years fine-tuning his craft. 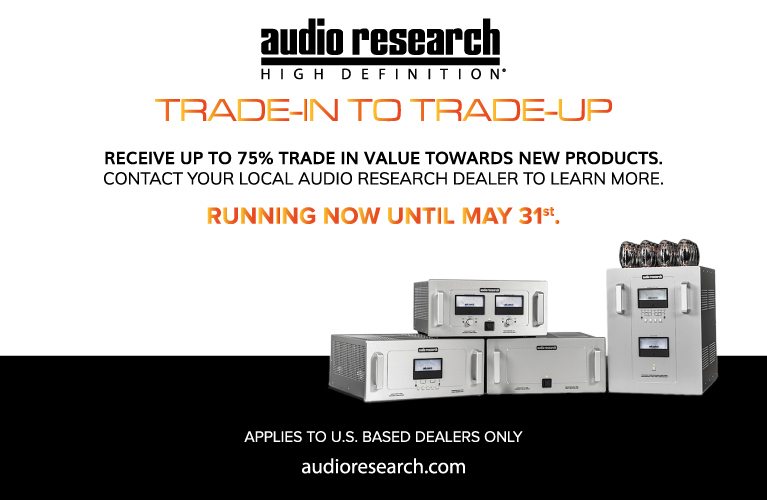 The experience Albert Von Schweikert has gained building speakers has paid off in spades in the 1 -- you can pay a lot more without getting nearly as much. If you’re in the market for a long-term reference monitor, you’ll be making a mistake if you don’t hear these speakers. I don’t look forward to sending them back. Price: $3995 USD per pair. 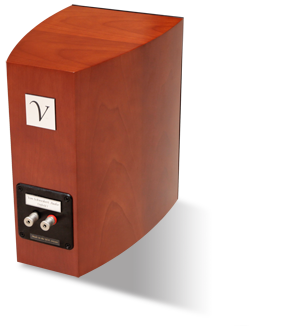 All of us at Von Schweikert Audio would like to thank Mr. Beaudette for his deep insight into the UniField 1 speaker system. His in-depth review shows a high level of dedication to his craft and we are gratified that our design efforts have not gone unnoticed. Regarding the comments in the review on the bass extension of the UniField 1: The level of bass power is adjustable, and is accomplished by inserting or removing Dacron from the port. Since the design is an aperiodically tuned bass-reflex combined with the damping of a transmission line, inserting more Dacron into the port will add mechanical resistance to the rear wave of the woofer, enabling a tighter, drier bass reproduction. By definition, the opposite is also true -- you can achieve more bass power by removing some Dacron. You can expect to hear about a 3dB increase in the bass power from 40 to 60Hz if enough of the Dacron is removed. We have added commentary in the UniField 1 instruction manual on how to increase or reduce the bass power for owners to get the best from their speakers. Thanks once again to Mr. Beaudette and everyone at SoundStage! for the great review.